If you wish to catch a bus to the ceremony from The Holiday Inn you must be here at 7.45 am, buses leave at 8 am. The Service is due to start at 9:00 a.m.
After the ceremony we will move around to the Bomber Command Memorial for an “Aussie” group photo . And isn’t it great to say the Bomber Command Memorial! Buses will then return to the Holiday Inn. SUBSCRIBE TO OUR “LONDON GROUP” MAILING LIST HERE. Tuesday 26th June Morning: trip to Runnymede,Afternoon: Reception at Australia House. Wednesday 27th June Morning: Flight Centre group city tour.6pm: Guildhall Reception (for select number of veterans only). 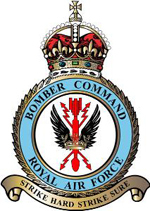 Thursday 28th June Bomber Command Memorial Dedication and Unveiling Ceremony at Green Park. Friday 29th June Trip to RAF Museum in Hendon. Saturday 30th June Wreath laying ceremony at the Australian Memorial Hyde Park. Let me know if you wish to join the group leaving from Holiday Inn. The dress code for all commemorative services (Runnymede, Green Park and Hyde Park) is suit, tie, medals and hat. In the case of inclement weather also bring a coat and umbrella / poncho. Drink plenty of water during your flight. There is a tendency for people to drink less thinking they don’t want to take to many trips to the toilet, however there is a danger of dehydration. Keep the blood flowing. Whilst you are in your seat, trying moving and changing position often. Trips to the loo are good in this regard. Those on the stopover in KOREA – pack an overnight bag with only the things you need for the overnight stay. Remember the weight restriction for cabin luggage is 7kg. Medals – We have been advised by DVA not to bring medals on in cabin luggage if they have a pin. There is a chance you may not be able to take them with you.